So cute, fun, trendy – and easy too! The amazing nail art products from L.A. Colors make recreating this look a total breeze. Step 1: Start with a coat of L.A. Colors Triple Play, a super versatile basecoat that also works as a topcoat and nail hardener! 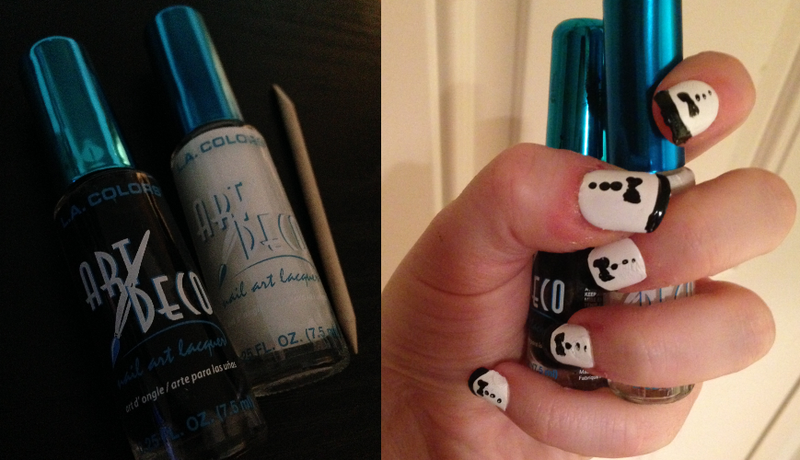 Step 2: Apply two full coats of Art Deco Nail Art Lacquer in White to the entire nail. Before you start, make sure to roll the polish in your hands instead of shaking up and down! 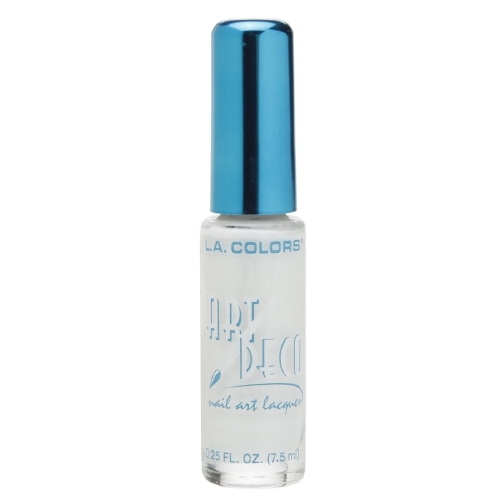 This will help you avoid bubbles and keep your polish in top shape for a seamless application. Let dry completely in between coats. You could also mix up this look and make it your own by painting on an accent nail (like your ring finger) in a bright color. 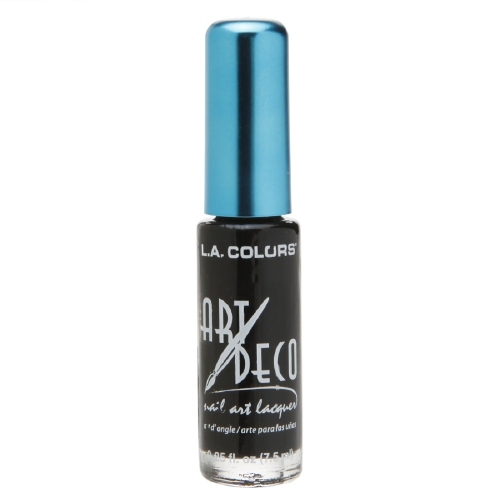 Step 3: Swipe a horizontal stripe of Art Deco Nail Art Lacquer in Black over the top tip of the nail. Step 4: Use an orangewood stick (a toothpick works, too!) 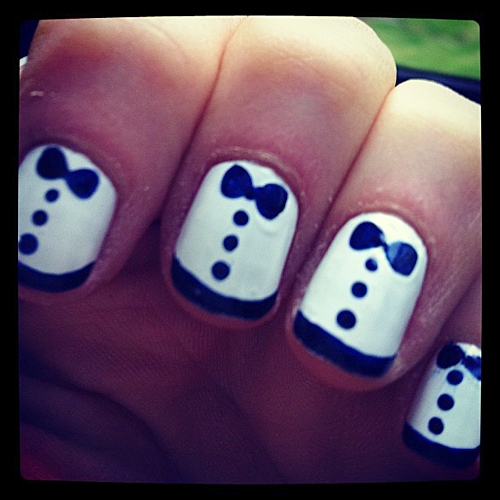 to create a bow tie and three buttons on each fingernail. Just dip the stick into the black nail polish and dot on. It’s easiest to think of the bow tie like two little triangles (three dots each) that point in toward each other. Step 5: Finish with another coat of Triple Play to seal your nail art. Ta-da!